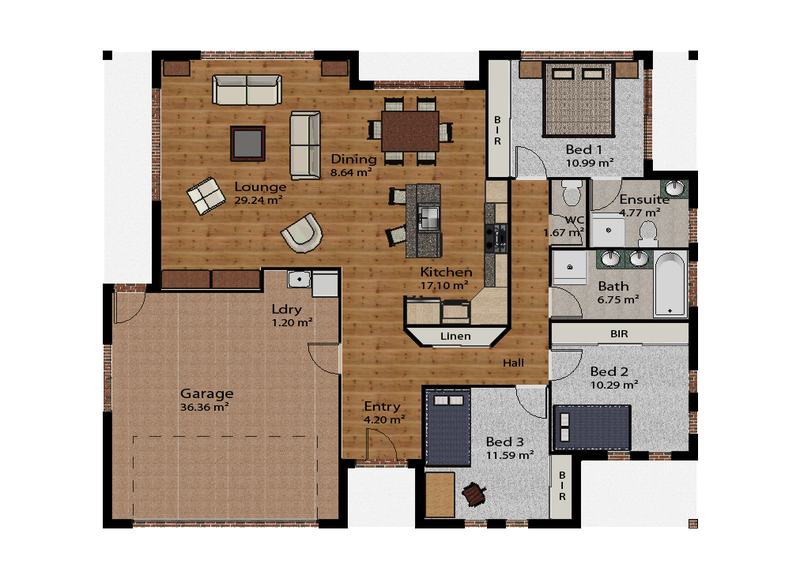 The Barrington is a nice 3 bedroom home with an integrated garage. The asymmetric roofline features a modern design and turns a simple brick home into something special. The offsets in the facade open up the square floorplan and create covered outdoor areas which provide the space for private retreats. Use these spots to enjoy a cup of tea while you are reading the paper or just sit down and relax in the shade. The attached garage makes live easy. Only a short way to carry the groceries inside. The big bild-in-robes provide lots of storage space.